Piper Jaffray analyst Gene Munster believes that investors are underestimating iPhone’s growth prospects. If the iPhone grows in-line with the overall smartphone market at 35% (the 2011 growth rate), that would equate to 200 million iPhones sold in 2015. Meaning over 40% of Apple’s business is growing at 35%. The iPad will grow faster, with the Mac and iPod business growing slower. That nets sustainable growth of between 25-35% in earnings through 2015. He maintains his Overweight rating and $483 price-target. The iPhone 5, due out sometime this summer, will not be an LTE 4G phone, says Telecom Pragmatics analyst Sam Greenholtz. The iPhone 6 will be the LTE version which is under development with production aimed for a summer launch in 2012. The iPhone 5 is expected to be a world phone designed to work on European networks, the HSDPA-Plus network that AT&T has dubbed 4G and on Verizon’s 3G network. 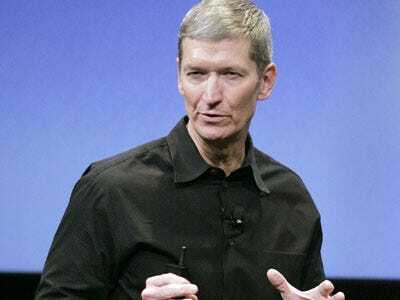 Shareholders, while just as concerned about Steve Jobs’ health, have refused to sign in favour of a proposal that would force Apple to say who or what the plan is for his successor. Investors presumably sided with Apple on the company’s hypothesis that disclosing such a plan would give competitors an advantage. The company is now free of having to answer to such pressure from outside groups, but it has a bigger concern still; the actual medical condition of its iconic CEO. Apple has reportedly informed music labels that it wants to protect the existing market for paid song downloads, positioning its cloud strategy for iTunes as a form of “insurance”. Apple has consistently pushed for direct downloads in iTunes, as opposed to the rental music subscriptions or the streaming music on demand services. The online service will simply function as a backup solution for your music collection. Wonder what that’s going to cost? We’ll probably find out soon considering the company’s North Carolina data centre is rumoured to go live this spring. Apple upgraded the MacBook Pro family by introducing new versions featuring next-generation processors and graphics, high-speed Thunderbolt I/O technology and a new FaceTime HD camera (you also now have to pay for FaceTime). While they are still the same size, shape and weight as the previous generation (including the trackpad), with Intel’s Thunderbolt tech it can transfer data at 10Gb/s. That’s fast. Matt Rosoff at Business Insider says that Thunderbolt can do for video, what MP3 did for audio. The Girl Scouts have discovered an easier way to sell massive quantities of unneeded Samoas and Thin Mints; through the iPhone. Starting this year, those little rascals will be taking payments for their annual cookie sales through Intuit’s GoPayment app, meaning your credit card information will get punched straight into the handheld. That’s evil. Apple has been riding an incredible wave of success. Is it cresting at last? The bears argue that the company is asking for trouble by insisting on 30% of the cut from magazines and other publications that sell subscriptions. They are also worried about the company’s lack of a known CEO succession plan as well as unpleasant news about Apple suppliers in China, opening another potential front of backlash. Good luck bears.